Bioscience and the Good Life explores the complex relationship between modern biosciences and human flourishing. Here cognitive enhancement, longevity, and the spectacle of excellence in sports, are examined within the context of what constitutes a life well lived. 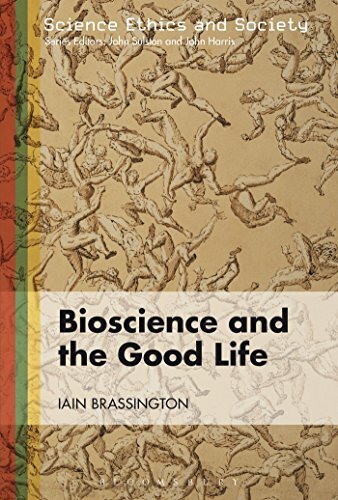 Brassington advances an insightful and involved response to the existing debates between bioscientific optimists and pessimists, one which mediates their differences, and expands the traditional scope of their arguments. Statistics allows us to describe variability in biological data, and it facilitates the biologist's ability to make decisions. This text is designed for upper-level undergraduate students intending to pursue a career in the biological sciences. The book helps you to explore what career is best for you. Starting with an assessment of who you are and how you work, this guide takes you on a journey that extends from a survey of possible careers through the steps necessary to get there. This textbook is intended as a vehicle for students in the biological and chemical sciences, enabling them to understand the physical underpinnings of their later studies. The systems under investigation will relate to human physiology. This is a textbook for teaching the principles and practice of proteomics for undergraduate students in the life sciences. The focus is on the analytical methods and data analysis for protein separation, quantitation and identification.